S O U N D A T H O N ! Original painting by Bruce Stewart. For a larger view and a description click on the image. 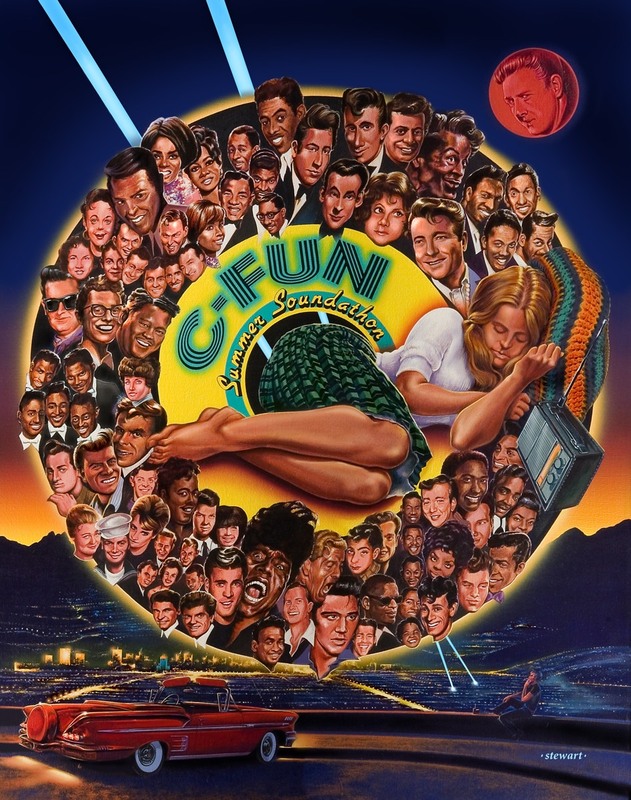 Soundathon was C-FUN's twice annual extravaganza of hits from the past. Listeners voted for their favorite "flashbacks" and these were tallied and played in countdown order near the year's end or in mid-summer. 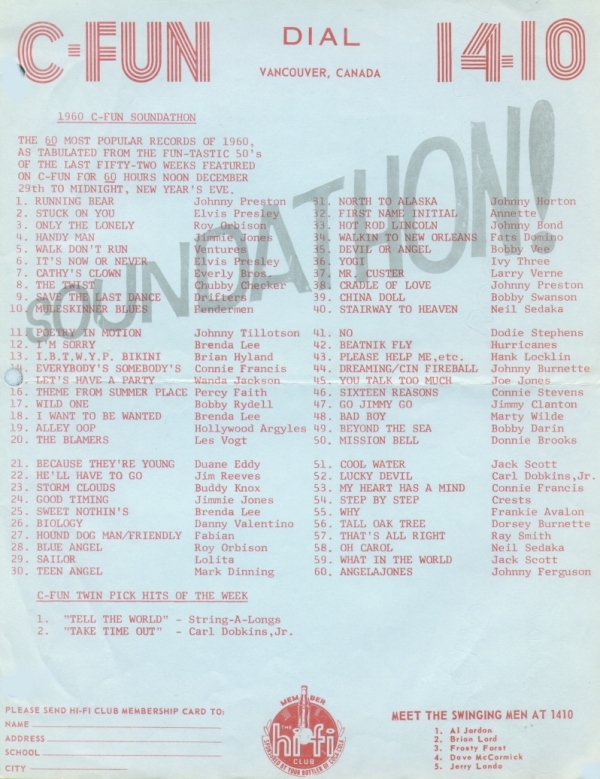 The first Soundathon was in late December 1960 and featured only 60 ranking songs, all from that year. 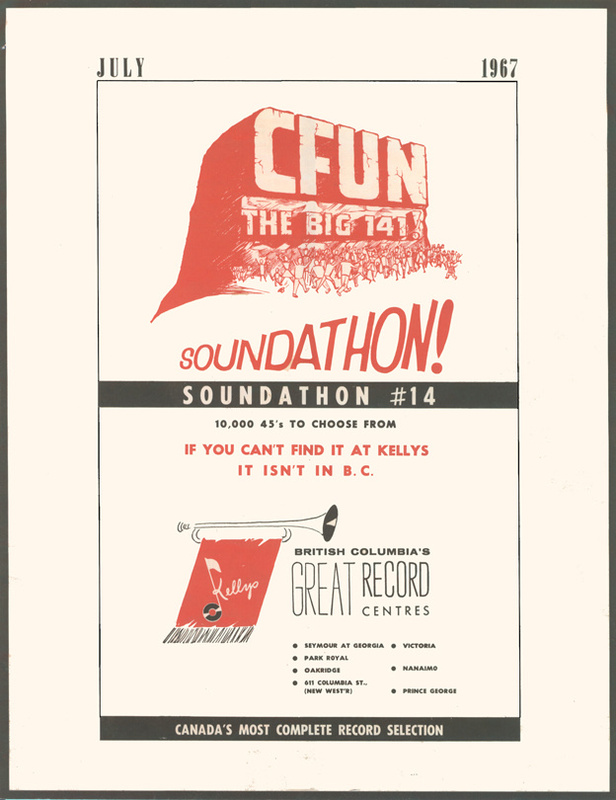 Soundathon #2 was a Top 100 and took place during the Summer of 1961, covering the period back to July 1960. Soundathon came of age with Number 3 in late December 1961. This time 300 ranking songs were included, tallied from over 101, 000 votes. And this time it included the Rock and Roll years back to 1955. Beginning with Soundathon #4 in the Summer of 1962, the Summer Soundathons, from this point on, featured only hits of past Summers. Hits were listed in groups by year and there were no rankings. Soundathons #4 and #6 were likely never printed but later Summer Soundathons were. 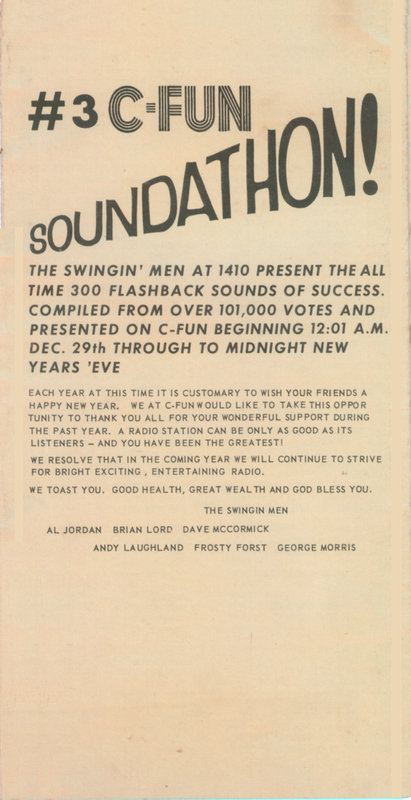 The winter Soundathons continued the ranking of 300, as did the last Soundathon #14 of July 1967. 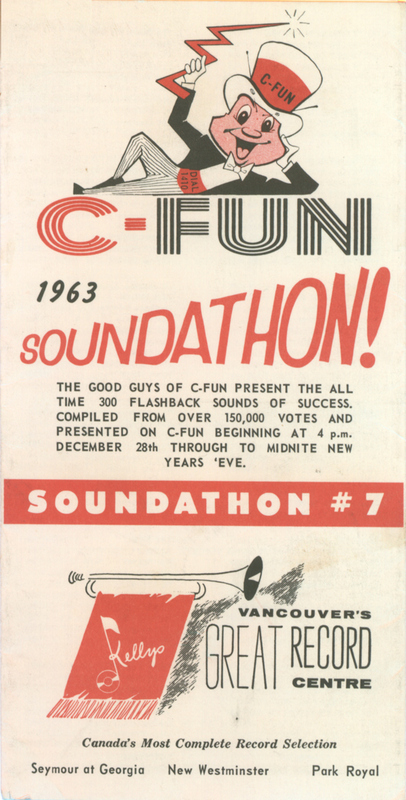 Soundathon was a favorite and much-anticipated event on "Funland" radio C-FUN. All others are scans from personal collection. This site is not affiliated with radio station CFUN.